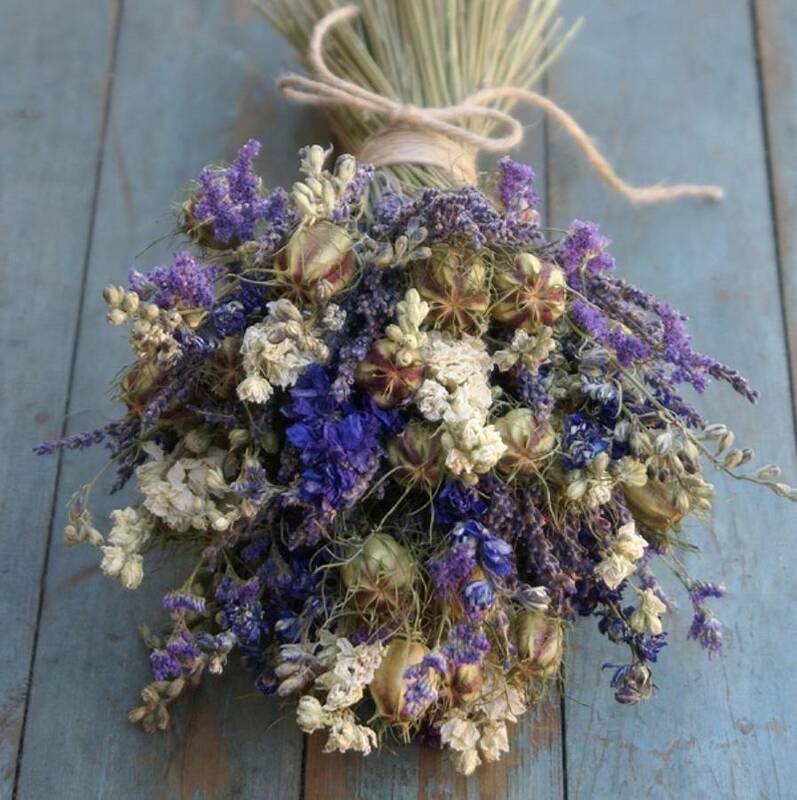 Our Rustic, Country, Bridal Bouquets are a great alternative for creating a wild, bohemian look to your wedding day, or your home. 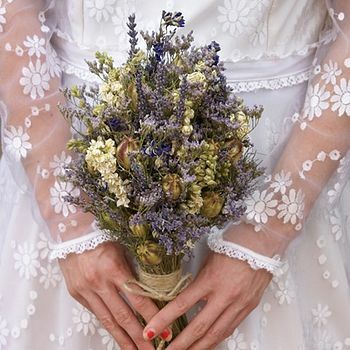 These bouquets are great for weddings abroad and you get to keep them afterwards to either give away as a gift or as a memento of your big day. They are available in three sizes.. Bride, Bridesmaid and Flower girl. Our Provence Collection also includes matching Buttonholes, Hair Combs and Hair Circlets. All our designs are handmade to order, so please allow on average at least three weeks for dispatch to the UK . ( NOTE: we can get booked up very quickly during the Summer months, so orders can take longer to make ). We recommend ordering 2/3 months before the wedding date, to ensure they are kept in the very best condition for the big day and please include your wedding date in the order notes. We air dry naturally, as many of the dried ingredients as possible here on our cut flower farm in Staffordshire. 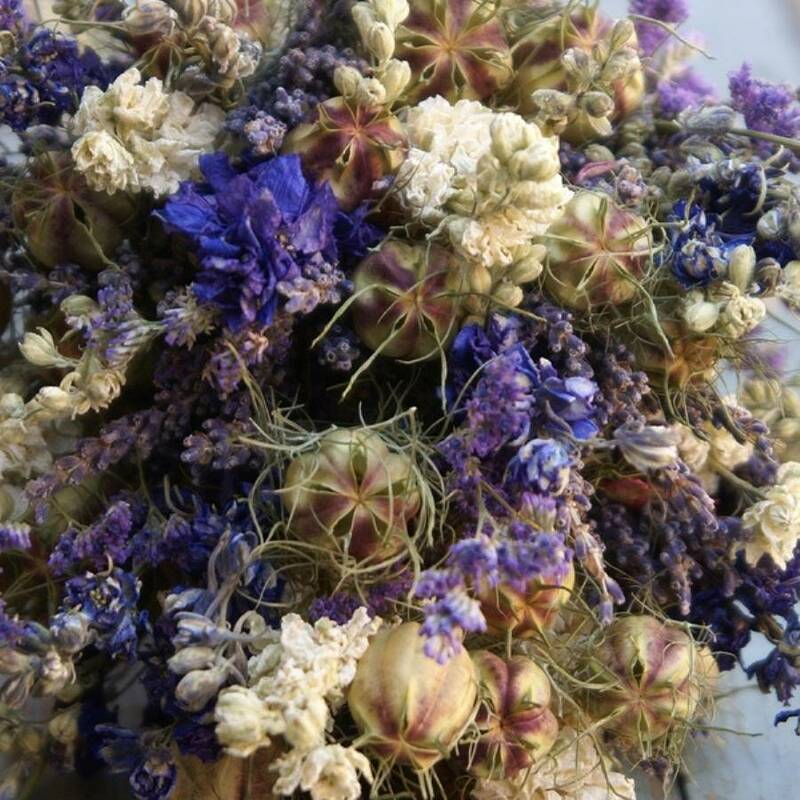 Larkspur, Nigella Seed Pods, Lavender, Statice. Please note: We endeavor to create our flower designs to look like the picture, but as we use natural flowers there maybe colour shade variances from time to time. 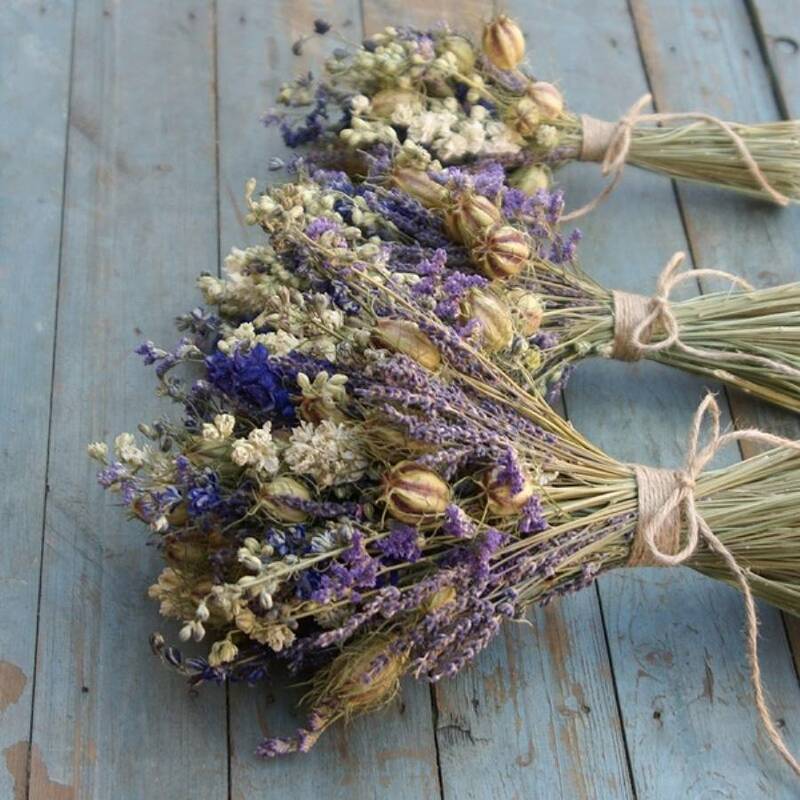 This product is dispatched to you by The Artisan Dried Flower Company.